Renault brand sales rose 10 percent in May. All major automakers except Renault saw their European new-car sales fall during May as scrappage programs that paid buyers to trade in old cars ended and continuing economic uncertainty sapped confidence. In a European market including EFTA countries down 8.7 percent to 1.17 million in May, Renault group sales grew 7 percent, driven by a 10 percent rise for Renault brand. The French company's low-cost Dacia marque suffered a 4 percent drop. 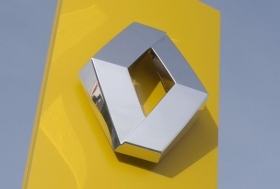 Sanford C. Bernstein analyst Max Warburton said Renault sales are being helped by discounting and by the fact that the company's Megane compact car and Scenic minivan ranges are near the peak of their product cycles. In May, Ford's sales including Volvo fell 12 percent with Ford brand's decline of 16 percent offset by Volvo's rise of 19 percent. VW group including Audi, Skoda and Seat easily remained Europe's biggest carmaker with its market share increasing in May to 22.1 percent from 21.9 percent in May 2009 despite group sales falling 8 percent. Only Audi posted a sales gain, amounting to 2 percent. No. 5 automaker Fiat group's market share stood at 7.8 percent, compared with 9.1 percent last year, as group sales fell 22 percent. All of the Italian group's brands including Alfa Romeo and Lancia suffered a drop. General Motors Co.'s European sales woes continued. The company's sales fell 19 percent with Opel/Vauxhall sales down 19 percent and Chevrolet volume down 11 percent. With no new products launched this year and a major recall campaign, Toyota sales continue to slide with combined Toyota and Lexus volume down 21 percent in May, although Lexus posted a 23 percent rise.. Luxury brands BMW and Mercedes-Benz are suffering in Europe largely because their minicar brands are not doing well. Mini sales fell 9 percent while Smart's volume was down 18 percent. The UK, at No. 4, is still benefiting from the run-out of a scrappage scheme with May sales up 14 percent, while similar incentives helped boost volume of No. 5 Spain by 45 percent.